Computer scientists — including computer science students — are pioneering ways to improve our daily lives through the use of software. What better way to have a lasting impact on individuals than giving them the power to control their environment when they are no longer able to do so? 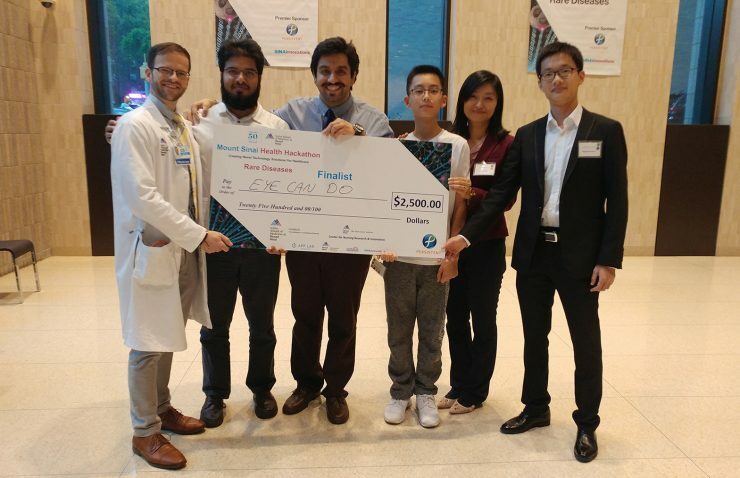 At a recent hackathon, this was the goal of Furqan Baig, Hongyi Daumnu, Sina Rashidian and Xia Zhao, graduate students in the Department of Computer Science (CS) and Applied Health Informatics at Stony Brook University. 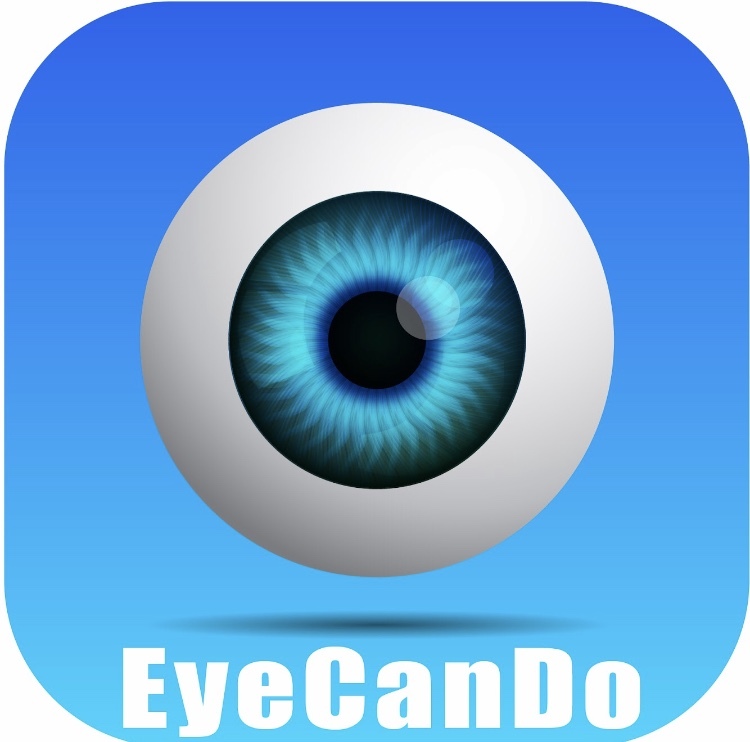 The EyeCanDo app improves the quality of life for patients inflicted with neuromuscular impediments. For the Mount Sinai Hackathon, the team chose the disease known as amyotrophic lateral sclerosis (ALS) as their primary focus. Because ALS patients often lack the strength in their muscles to complete common daily tasks, EyeCanDo is enabled by a patients eye gaze. The EyeCanDo app essentially gives patients with ALS or paralysis the ability to interact and control features in their home. According to the team, “This allows patients to become more independent without having to rely on other people for everything.” EyeCanDo combines the cutting-edge technologies of eye tracking software with a smart home device. For example, using the EyeCanDo smartphone app and their own eye gaze, a person with ALS would be able to control the temperature of their room, turn on a fan, shut off the television or turn on the heat. These are mundane daily tasks that mobile people take for granted. EyeCanDo is easy to use, convenient and affordable since users need only a smartphone. 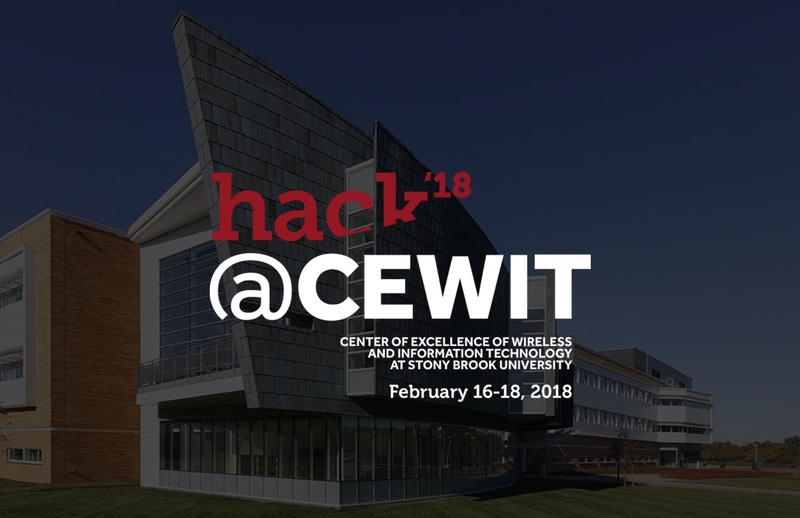 The SBU team leader for this hackathon was Professor Fusheng Wang, associate professor in CS and the Department of Biomedical Informatics, both of which are part of the College of Engineering and Applied Sciences. According to Wang, there were three finalists selected out of 15 New York teams. “The competition was tough. 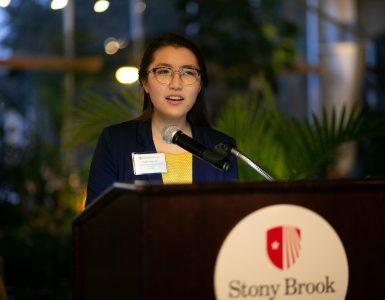 With teams coming from Rensselaer Polytechnic Institute, CUNY and NYU,” said Wang, who was especially excited that the SBU team included a local high school student. 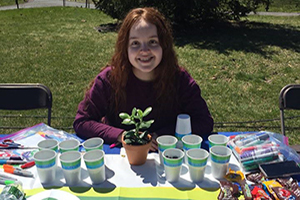 The judges of the competition were impressed with the team’s strong collaborative skills and professionalism, and for first place they were awarded $2,500. The team is scheduled to present at the Mount Sinai Innovation Showcase 2019 in February. 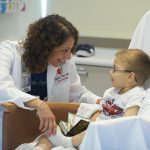 To prepare for the showcase, they will be mentored by Mount Sinai Innovation Partners. Good luck to the EyeCanDo team! 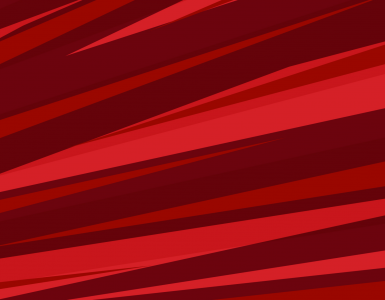 MBA Alumni Network – Where are they now?